Violet is Trendy and Warm! Home » Violet is Trendy and Warm! 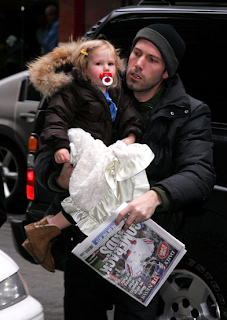 Violet Affleck was seen out over the weekend in her ultra trendy and very warm jacket by Moncler. While out shopping today I came across this jacket and thought I might get my son one because it looked SO warm. That all changed when I saw the $500 price tag. What makes it so special? It is down filled and the hood is trimmed with Murmasky Fur.